Is Deutsche Bank really the next Lehman? Even though its market capitalization is just €16.69 billion (or $18.93 billion) which is just 10% of its 2007 peak and down 50% this year it is still fundamentally a strong and too big to fail (for Europe) bank. Deutsche Bank has Tier 1 capital of €47.8 billion and a Tier 1 capital ratio of 14% Its leverage ratio stands at 4%. Its loss absorbing capacity is €118 billion, and it has a loan to deposit ratio of 0.77. (All these metrics as of as of September 30, 2018). Those aren’t bad numbers. Lehman Brothers wanted the government to allow it to convert to a bank holding company before it went into Chapter 11 administration (i.e. bankruptcy in simple words), which would have meant it could have taken retail deposits. Rules were subsequently changed (after Lehman) to save investment banks. Deutsche Bank has no such problem with around 2,300 retail branches and a staff count of 95,000 employees and a relatively solid retail deposit base (at least in Germany). It does have a problem of profitability, but it is far too big to fail for Europe. Deutsche Bank is no Lehman Brothers except in terms of derivatives. Deutsche Bank has a portfolio of €48.5 trillion ($56 trillion) notional derivatives as of December 31, 2017. The net derivative position is about €21 billion. 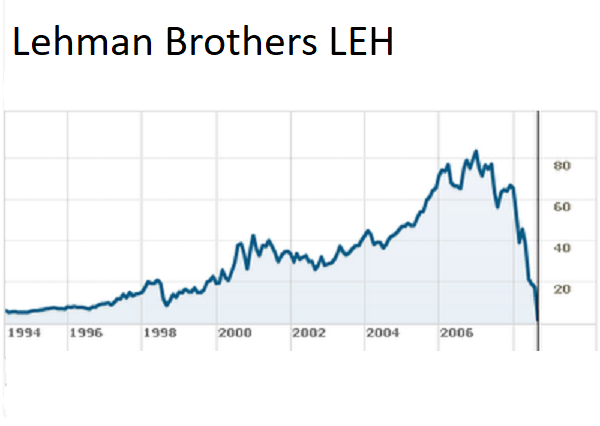 When Lehman Brothers went into Chapter 11 administration (i.e. bankruptcy in simple words) in 2008 it had $35 trillion of notional derivatives. Deutsche has $56 trillion. In Warren Buffett’s words “derivatives are weapons of mass destruction that morph, mutate, and multiply until some event makes their toxicity clear”. Well, that is the biggest problem. To be fair, Deutsche Bank is working to reduce its derivative exposure and unless some major event strikes it should be fine. Would you be able to shed some light on how Deutsche Bank is reducing their derivative exposure?